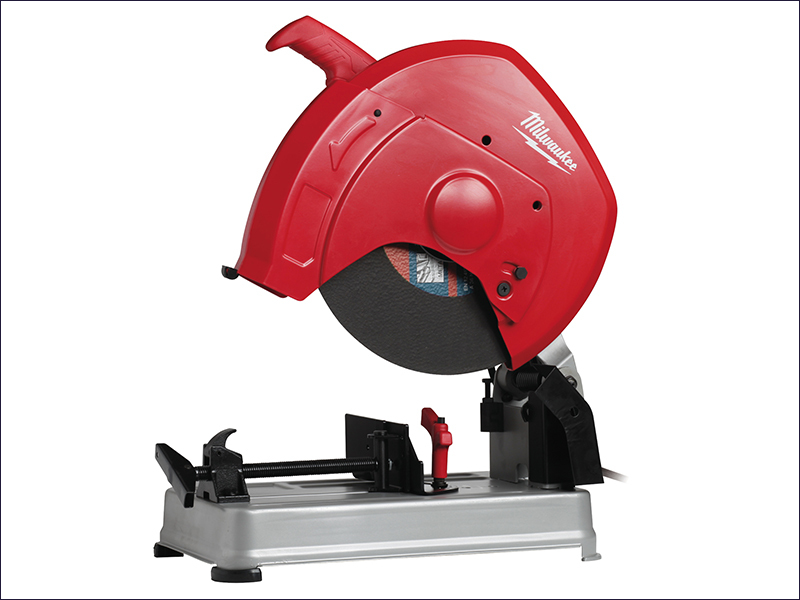 The Milwaukee CHS 355 Metal Chop Saw has a 2,300 watt motor for excellent cutting performance. It has an integrated metal fan for best durability and long life, and the stamped steel base with additional rips prevents deforming. The Chop Saw has a quick release vice adjustment for fast angle adjustment from -45° to +45° and a quick release mitre clamp for fast work piece change. The lock pin function keeps the saw in a closed position during transportation (no chain required), and the spindle lock enables fast and easy disc change. Brush changing is made easy due to external brush doors. Square profile: 115 x 115mm. Rectangular profile: 230 x 70mm. Square profile: 80 x 80mm. Rectangular profile: 100 x 80mm.